Ok, so maybe that’s a slight exaggeration. But if you’ll remember, a few weeks ago John Calipari announced that Kentucky was preparing to share details about a couple games at “destination locations.” And on Tuesday the first piece of that puzzle started to crystalize. 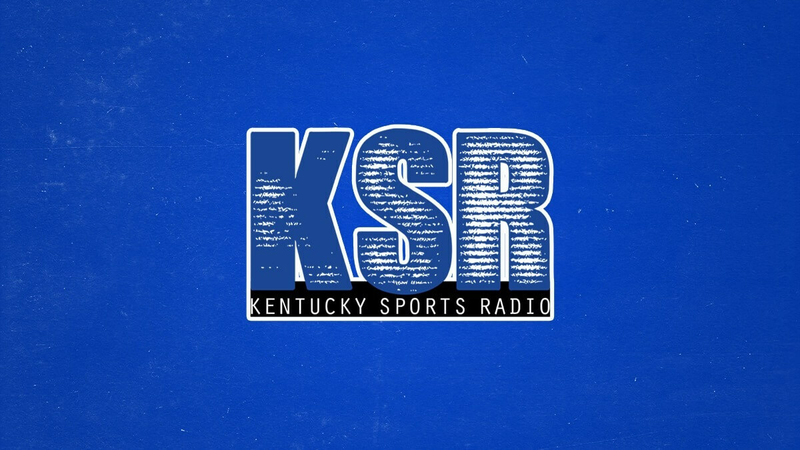 That’s because according to KSR’s Matt Jones, Kentucky has agreed to a two-game series with Utah starting next season. The first game will be played at Rupp Arena during the 2018-2019 campaign and the following game will be played in… are you ready for this… Vegas in the 2019-2020 season. That’s right, Vegas baby! Of course with this scheduling announcement, it’s led to a number of different questions from Big Blue Nation today, with most of them focused on the same few themes: Is it too early to request time off from work? What hotel should I stay at? Is there any way I can fake my own death so my girlfriend doesn’t find out about this trip to Vegas? Hey #BBN, we’re working on playing two regular-season games against Power Five teams at a destination spot for our fans in 2019-20. Hope to have details soon. Admittedly, I don’t have answers to most of those questions, but the one thing I can help you with is information on the latest opponent on Kentucky’s schedule. As KSR’s resident national college basketball analyst and (frankly) one of the few people anywhere outside Utah who actually watched the Utes last year, I can tell you a bit of what to expect when the Utes arrive at Rupp Arena next year. Here’s what you need to know about the 2019 schedule’s newest opponent, Utah. Think of Utah as the West Coast version of say, Miami basketball. You don’t think of either school as a “power” or to be blunt, you probably don’t think much about either school at all. Yet each has had surprisingly success over the last couple years. When it comes to Utah, did you know that the Utes have finished with at least 20 wins in five straight seasons, and finished in the Top 4 of the Pac-12 in each of the last four years? That’s something that only Arizona – and not UCLA, USC or Oregon – can claim. The Utes have also made two NCAA Tournaments during that stretch, including a run to the 2015 Sweet 16, so they’re no strangers to postseason basketball or overall tournament success. Although the Utes reached the 20-win campaign again last season and finished tied for third in the Pac-12, it was – at best – an up-and-down campaign. The Utes started with a respectable 8-3 record overall in out of conference play, which included a pair of wins over SEC teams (Missouri immediately following the Michael Porter injury and Ole Miss) but then limped out of the gate in Pac-12 play at just 5-6 overall. To their credit however, they bounced back and went 6-1 to close out the regular season, and then made a run all the way to Madison Square Garden for the Finals of the NIT. While an NIT run isn’t exactly something that most fan-bases would rally around, it did give the Utes optimism heading into the 2018-2019 campaign. That’s because while Utah fans may be excited about what lies ahead, the reality is that the Utes have their work cut out for them. Utah will enter 2018 with one of the least experienced lineups in major college basketball. At the very least, they will lose its top two scorers (a guard named Justin Bibbins and forward David Collette). They will also lose at least four starters – and that’s assuming that the only projected returning starter, a guard from LA named Sedrick Barefield returns to school next year. Barefield, a fluid combo guard who averaged 12 points per game last season, is currently testing the NBA Draft waters without an agent. He isn’t projected to go drafted meaning that it’s likely he comes back. Considering that Barefield played some of his best basketball late in the season (including 22 points in a season-ending loss to Penn State) don’t be surprised if he’s one of the better guards in the Pac-12. To the credit of coach Larry Krystkowiak he has actually built one of the best developmental programs in all of college basketball. Surprisingly, the Utes have actually had one first round pick in three of the last four years, with Delon Wright going in Round 1 of the 2015 draft, Jakob Poetl in 2016 and Kyle Kuzma last year. And to Krystkowiak’s credit, it’s not as though any of those guys was a big-name recruit. Wright played at junior college before he arrived in Utah, Poetl grew up in Austria and Kuzma was a three or four-star recruit not listed in anyone’s Top 100 coming out of high school. Therefore, while it looks like Utah’s roster might be short on talent next year, don’t be fooled they’ll be ready to play. I’ll let you decide whether you want to hold that information against him or not. Look, do I think Kentucky will actually be challenged when Utah comes to Rupp Arena? Honestly, probably not. But at the end of the day, this is still a solid addition to a rapidly evolving schedule. Admittedly, this likely won’t go down as one of their signature wins (not with the Duke, Louisville and North Carolina already on the schedule, plus another loaded season in the SEC) but it will only enhance the Wildcats’ overall body of work as they get ready for March. In speaking with someone in the Kentucky basketball offices recently who has a hand in creating the schedule, that person told me that when UK puts together its schedule there are two goals in mind: To play games that will help the team get better and also ones that look good on paper. Utah certainly fits both those bills. They are a power program from a power conference and finished ranked in the Top 40 of the RPI last year. Using those numbers, that would be a darn good win, at least according to the metrics the NCAA selection committee uses to choose tournament teams. Ultimately, this isn’t a game that will define Kentucky’s season, but will enhance their overall body of work next year and that’s a good thing. Plus, if all else fails remember one thing: Kentucky is going to Vegas in 2019! And that is reason enough to get excited right there. And Marisa Tomei won the Academy Award for best supporting actress. Hard to believe that was over 25 years ago. And agree regarding Fred Gwynne. Everyone remembers him as Herman Munster, but he was hilarious in Car 54 where are you before that, and I also remember him in Pet Sematary. He even had a bit part in On the Waterfront back in the 50’s. Remember when we had big non-conference games at Rupp? Those were the days….. Remember when when people would get off their asses and actually cheer at Rupp and not leave early to beat traffic? Those were also the days…..